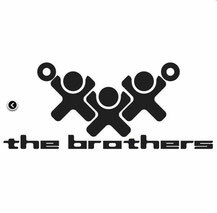 The Brothers label reveal the second remix installment from their exciting back catalogue overhaul of top German house production duo Knee Deep - a transformation into a brand new selection of singles which will later be released as a full compilation in the new year. Each song will be remixed by a well-known artist in the house music scene including the likes of Bobby D'Ambrosio, Louis Benedetti, Aaron Ross, Kort and The Brothers themselves among others! Following the 2007 Latin club smash ‘Me Kumba’ makeover from Kort and The Brothers last month, the next single to receive a musical nip n’ tuck is the vocal club smash ‘Mysterious’ ft Shena. Providing a selection of magical soulful house mixes are US house legend Bobby D’Ambrosio and cool Swiss DJ/ producer, Mirco Esposito. Knee Deep aka Basti Döhring and Toddie Freese, met in Hamburg’s club scene. Their first release in 1998: D'Influence ‘Rock With You’ was an instant international success. Soon big names including David Morales, Bob Sinclair, Everything But The Girl, Blaze, Rhianna, Basement Jaxx, Kerri Chandler and Jamiroquai requested remixes from the duo. This included Afro Medusa’s ‘Pasilda’, the huge Summer anthem of 2000. Since then they have gone on to produce, remix an incredible selection of dancefloor favourites working alongside artists such as Rasmus Faber, Sharlene Hector, Jamie Lewis, Timmy Vegas, Kenny Bobien, Brooke Russell and many more. These releases appeared on their own labels KneeDeep Recordings (Est. 2003) and KneeDeep u.s.a (Est. 2005). Basti & Toddie have an extensive travel schedule performing all over the world including, Switzerland or Spain, Belgium, France, Hamburg, London, Ibiza and Miami. In recent times Basti has enjoyed huge solo success with his ‘Lovebirds’ recording monika, releasing a host of fantastic singles including the current smash ‘I Want You In My Soul’. US DJ / Producer Bobby D’Ambrosio’s impressive discography includes remixing artists such as Barry White, Tom Jones, Mark Anthony, Loleatta Holloway, Kim English, Gloria Gaynor, Gloria Estefan, Brand New Heavies, Frankie Knuckles to name a few. Bobby’s buggest success was ‘I Like It Like That’ by the Blackout Allstars ft Tito Nieves, which was used in a national television commercial for Burger King, and in turn caused Columbia Records to re-release Bobby's production. In 1994 Bobby joined Def Mix Productions. In 1997, Definity, The Def Mix Label released Bobby's first single ‘Moment Of My Life’ ft Michelle Weeks making the top 20 national charts in the UK and licensed worldwide. In 2002 Bobby completed his album entitled ‘Here I Am’ with vocal collaborations by Michelle Weeks, Kellie Sae, Alishia Hill, Ronell Bey and Gail Lou De Sanders among others. Remixes by David Morales, Eric Kupper, and Davidson Ospina insured that the album would become a DJ staple. Bobby has played regularly at the Space Terrace and the Def Mix summer sessions at Pacha, Ibiza and also plays all year round throughout Europe. As a DJ Mirco Esposito is a familiar face in all the major clubs in Switzerland, he currently holds residencies in "Casineum" and "Pravda" in his home town of Lucerne, as well as DJ guest spots in Milan, Ibiza, Hamburg and London. Mirco is true to House Music, always filling his sets with passion and an understanding of what the floor requires. It's no wonder that for big clubs like Zurich's "Kaufleuten" and Basel's "Atlantis" through to the intimate venues that Mirco is a sought after booking. 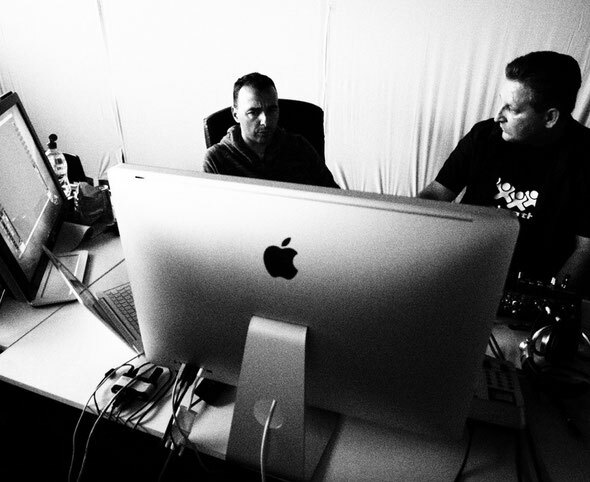 As a producer Mirco records under the guises "Rawsoul", "One Touch" and "Souxsoul". Mirco has helped write and producer many good tracks, including ‘Warning You’ - Held & Esposito ft. Sybille (Purple Music),’Love 2 Love’(Player Records) and ‘I Get Deep’ - DJ Le Roi (Deep Town) to name a few.